﻿ National Packard Museum - Ohio. Find It Here. 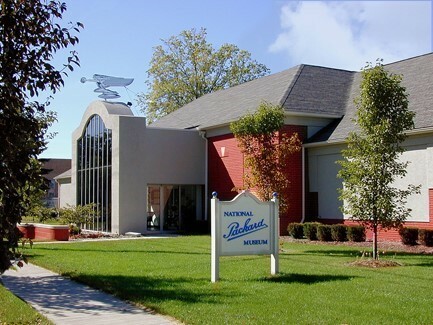 This museum features the history of the Packard family, the Packard Motor Car and other Packard enterprises that have influenced the growth and industry of Warren. It hosts a number of special exhibits and events throughout the year including its annual Antique Motorcycle Show and Packard Legacy Weekend.The Packard Automobile was in many cases, ahead of its time. There are a number of Packard Firsts related to this automobile. It was the first car to utilize a steering wheel. The first to include front and rear bumpers and the first to have air conditioning. It was the first to car to use the H-pattern gear shift  which is still being used today  and it was the first to install double windshield wipers.